The facts: 1026 adults, 879 registered voters. MoE is given as 4 for both. A quota of mobile phone responders was required, so they were covered in addition to land lines. Among registered voters, most of the races are close. Romney leads 48-46, Perry ties at 47, Paul trails 45-47, and Bachmann trails 44-48. The chances of each candidate leading Barack Obama are 59 Romney, 50 Perry, 40 Paul, and Bachmann brings up the rear with a 30%. That wasn’t why this poll caught my attention though. No, what’s interesting is the shifts when going from Registered Voters to Adults. Romney +2 goes to -1, Perry even goes to -4, Bachmann -4 goes to -5, but what about Ron Paul? He gains. He goes from -2 to -1. Paul’s 40% chance of a lead becomes 45%, near coin flip territory, when the sample includes people who are not registered to vote. Of course it’s meaningless electorally, but it’s interesting to note, I believe. Republicans tend to do worse among Adults, but Ron Paul is the exception to that rule it seems. His support is unlike other Republicans, in that he does better with people who don’t vote. Well, Mr. Stevens, if you look at the difference between Ron Paul’s widespread support in 2011 as opposed to 2007, perhaps there is an indicator that those adults will finally feel like it’s worth getting off their lazy asses and registering to vote for RON PAUL! By the way, I love how Unlikely Voter has a title on their story “The Oddity of Ron Paul” with a picture of Perry and Romney. Great editing, guys. Ya’ll rock. 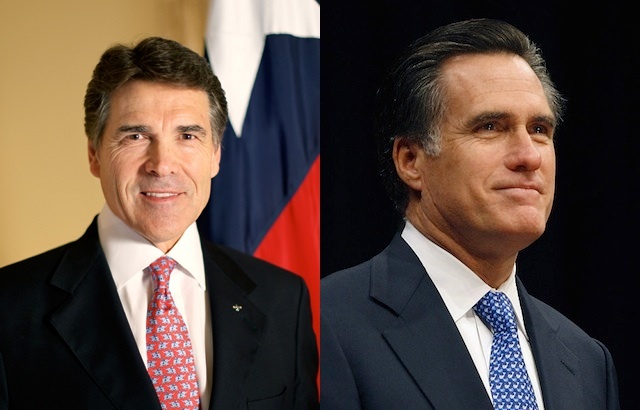 For the record, I slapped the photos of the frontrunners on this one, as Gallup shows Perry and Romney on top. You may not know this, but I’m one guy who runs this site out of my own pocket, and I’m inclined to re-use art when I can. I’ll venture a hypothesis. A lot of people who are attracted to Ron Paul as a candidate are also turned off by the current Tweedledum-Tweedledee choices at the ballot box, and thus don’t vote. Well that’s interesting I suppose, but the last sentence of your post tells the whole story. Paul does better with people who don’t vote. Who cares? I tend to agree with everything that Ron Paul says, and then I research and find that he surrounds himself with anti-Semites and for this reason, I will never support him. Ron Paul surrounds him with respected advisers focusing on civil liberties lik Bruce Fein who has worked for the American Enterprise Institute and the Heritage Foundation, both conservative think tanks, as an analyst and commentator. Or John W. Whitehead, former research assistent to Francis Schaeffer, who in 1982 established The Rutherford Institute, a nonprofit civil liberties and human rights organization. The roots of Ron Paul’s support in mainstream America are much deeper then many people think. Ron Paul is, sad to say, a raving whackjob much of the time, once you get away from fiscal policy. I’d love to see him appointed Secretary of the Treasury, or some such. I suspect Paul’s popularity amongst the under-30 crowd comes from the same reason he’ll never be elected for anything besides congress-critter: he has a lot of way-out ideas and won’t back down. Don’t get me wrong, a campaign without Ron Paul to liven things up is much less fun. Ditto for the Democrats and Dennis Kucinich. But the same Quixotean passion for principles which makes him so attractive to youngsters also makes him unelectable. Boring olde fartes like me prefer a dull, dependable Cincinnatus like Coolidge instead. Indeed. How big a landslide would a “Return to Normalcy” from a competent candidate be? I think that’s sort of what Romney intends to try, but I don’t think he is really much like Coolidge. Coolidge is probably too boring to be elected to the Presidency now, as Tim Pawlenty’s exit somewhat shows. Sure, we should put heroin addicts in jail, pay half our income in taxes and spend trillions on useless wars. Anyone who doesn’t believe that is a wacko. Any man who doesn’t believe killing Iraqis, Iranians, and Libyans is not in our national interest has no grasp of foreign policy. Not surprising. But would those self-same non-voters vote were Paul the candidate. Maybe. Under current circumstances, and, given the fact that those voters may not vote because they are fundamentally libertarian. I’d prefer Gary Johnson, but I’ll take Ron Paul. shore accounts while waiting for the collapse of America that they have designed. .
honest, intelligent non-psychopathic POTUS like Ron Paul instead. In Chief under the bus for a “ghost”?…..Tired of dying? ….and Killing? don’t get a headache thinking about that. The use of the term “sheeple” is common with Ron Paul supporters. They veiw themselves as the enlightened and all others are “stupid”. They are also commonly vulgar, for example “schmuck” in the above note. Ron Paul would be catnip for the Obama campaign. Just a few quotes from the Al Jones show interviews of Mr. Paul would send the independents screaming away. I suspect some of Pauls popularity among non-voters is that many of them are libertarians that are turned off by both major parties. But if Paul actually won the nomination, I suspect many of these non voters would be enthused enough to become voters. unfortunately, I think some of pauls positions, even though partly correct, would be too out of sync to win the repub nonination. in a many paerson race, Paul will always have a flor of 15-25%. But once it becomes a 2 person race, his support wont rise enough to win.